Team Canada’s next household name: Will Michael McLeod become a star at the world juniors? The world junior hockey championship hasn’t started — heck, none of the teams have even picked their final rosters — but it doesn’t look like Canada will be icing another star-studded team. There’s no Sidney Crosby or Connor McDavid. There’s not even a Dylan Strome. If you want to get a sneak peak at next year’s NHL Entry Draft, check out Sweden’s Rasmus Dahlin or Russia’s Andrei Svechnikov — the projected No. 1 and No. 2 prospects — or Brady Tkachuk and Quinn Hughes of the host Americans. Canada, on the other hand, didn’t invite a single draft-eligible player. And because the Flyers and Blue Jackets chose not to loan Nolan Patrick (No. 2 overall in 2017) or Pierre-Luc Dubois (No. 3 overall in 2016), respectively, the country is also without a single player who was selected in the top-three of previous drafts. Instead, Canada’s roster will feature a bunch of names the average hockey fan probably hasn’t heard of. Well, at least not yet. 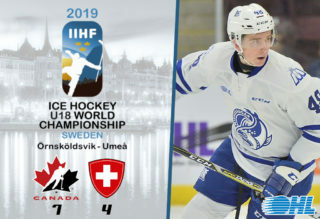 Therein lies the beauty of the world juniors, which has become a must-watch event ever since TSN began marketing the annual holiday tournament as something we should care more about than the Olympics. Whether it’s Auston Matthews and Patrik Laine or Nigel Dawes and Stefan Legein, the tournament is often a coming-out party for the next generation of stars or a two-week spotlight for players you might never hear from again. One of the players who has a chance at becoming a household name in the coming weeks — and a potential Calder Trophy candidate next year — is Michael McLeod. 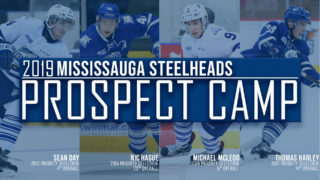 The Mississauga Steelheads forward, who a year ago was the 12th overall pick of the New Jersey Devils, is one of seven returning players (forwards Dillon Dube and Taylor Raddysh, defencemen Jake Bean, Kale Clague and Dante Fabbro, and as goalie Carter Hart are the others) who were invited to Canada’s selection camp that runs from Tuesday to Friday in St. Catharines, Ont. 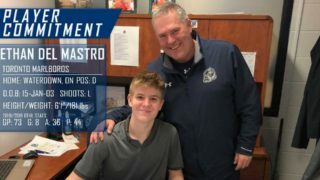 Roadrunner fast and with a compete level that Steelheads GM James Richmond said is “off the charts,” the 19-year-old is looking to make a bigger splash than he did a year ago. Despite the lack of star players, the Canadian team could have a lot of skill and offensive potential. 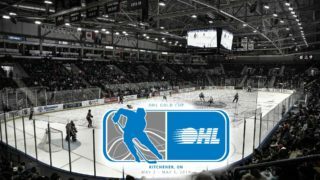 Jordan Kyrou leads the OHL with 58 points, Tyler Steenbergen leads the WHL with 35 goals and Boris Katchouk and Robert Thomas are both in the top-five in OHL scoring. The backend is particularly strong, with three returning players and the last-minute addition of Victor Mete, whom the Montreal Canadiens loaned after he appeared in 28 NHL games this season. McLeod, who has eight goals and 13 points in 11 games in the OHL this season, didn’t expect to be returning to this year’s team. 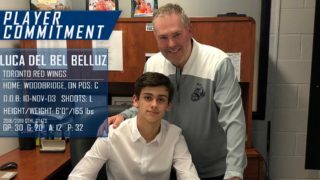 His goal was to make the NHL. But that dream was temporarily shelved during training camp, when he suffered a knee injury in a pre-season game that ultimately required surgery to fix. His loss was obviously Canada’s gain. 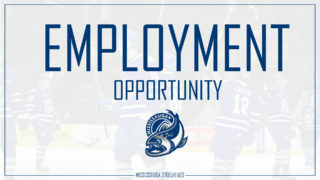 And in McLeod, the team not only has a potential captain — he’s worn the “C” in Mississauga for the past two years — but also the two-way game and versatility to play multiple positions and roles depending on what is needed.